Highways are filled with tractor-trailers. The weight of these extremely large vehicles creates a significant risk for drivers and passengers travelling on the same streets. When compounded by defective parts or mechanics, trucks become even more dangerous. If a defect causes an accident, you need to be represented by a seasoned attorney. The lawyers of Harris Lowry Manton LLP diligently represent victims of truck defect accidents. If you or a family member was injured due to a truck defect, turn to our Atlanta truck defect lawyers to discuss the merits of your case. Faulty brakes. The weight and size of a truck requires adequate time and distance to make a safe stop. Faulty brakes hinder the driver from stopping the truck with enough time and distance to prevent accidents. Faulty rear guards. Trucks are equipped with rear guards to prevent other vehicles from being pinned underneath the truck in the event of a rear collision. When these mechanisms fail to perform correctly, a vehicle that rear-ends the truck may become crushed underneath its weight. This type of accident can severely injure the driver of the other vehicle. Faulty steering. The weight of a truck makes safe maneuvering a challenge for the driver. For this reason, a properly working steering mechanism is extremely important. A failed system can cause the operator to lose control of the vehicle. Defective couplings. Couplings attach the semi-trailer to the tractor or towing truck. These fittings are important to ensure that the towed unit stays secure. If the couplings fail and the trailer separates, an accident can result. The significant weight of the tractor and its cargo can cause significant injury. Our knowledgeable Georgia truck accident lawyers are prepared to help you prove that a defective truck part caused or contributed to your accident. One of the biggest challenges when making a truck accident claim is identifying all responsible parties. The accomplished Atlanta truck defect attorneys of HLM have successfully represented victims involved in various types of trucking accidents. We have the resources and necessary skill to launch an in-depth investigation and accurately identify the underlying cause. Our lawyers then craft a case to advocate for your interests and secure the compensation from all responsible parties. 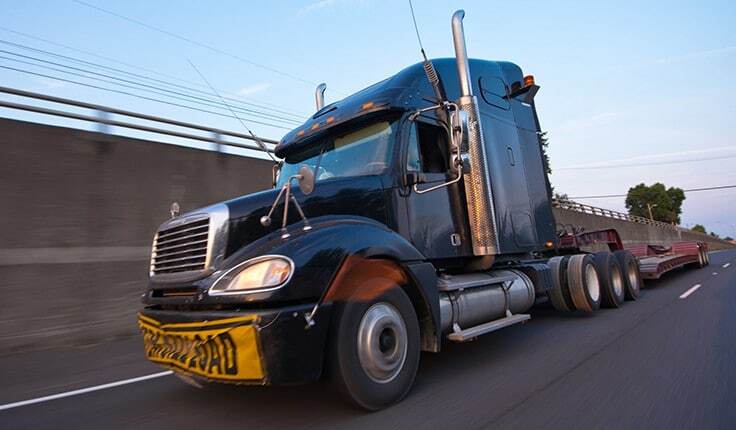 If a faulty truck part has led to your accident, you deserve to pursue compensation. The Atlanta truck defect lawyers of HLM have a track record of securing high-value verdicts and settlements for our personal injury clients. To get help today, call our Atlanta office at 404-998-8847 or our Savannah office at 912-417-3774. You can also complete our contact form. Your initial consultation is free.